Just in time for Thanksgiving and autumn. 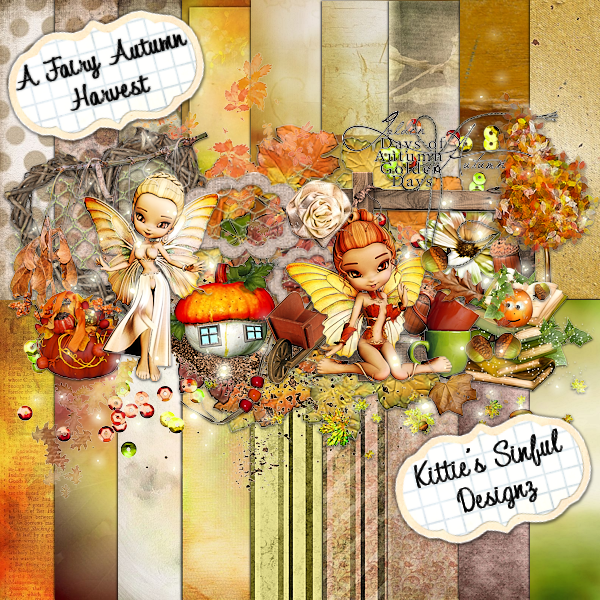 This kit is a beautiful fantasy autumn mega kit. This kit is a MEGA kit packed with 3 posers, 123 elements, and 18 papers 300 dpi. Available in tagger and full size. Autumn Halloween the name says it all. 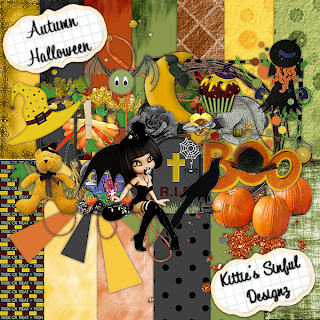 This kit is a fun Halloween kit with an autumn twist. This kit has all the beautiful colors of autumn and Halloween infused in one. It's packed with golden yellows, olive green, orange, brown, gray, black, and a twist of purple. This kit can be used for all your autumn and Halloween projects. This kit is packed with 2 posers, 86 elements, and 13 papers 300 dpi. Available in tagger and full size and on sale for 40% off. 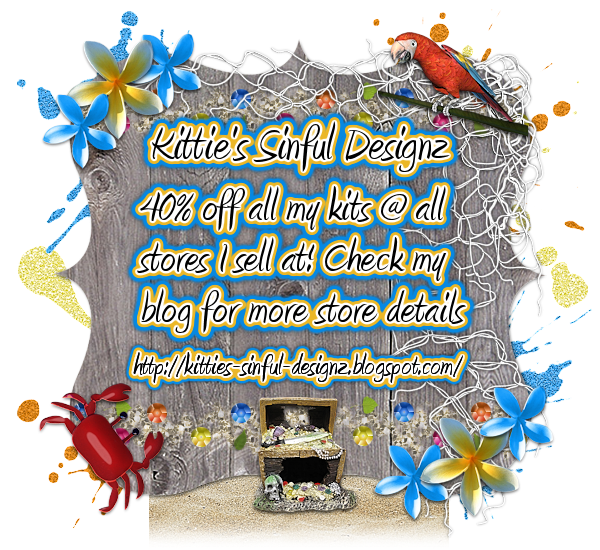 So grab this kit today! Available in all stores I sell at.